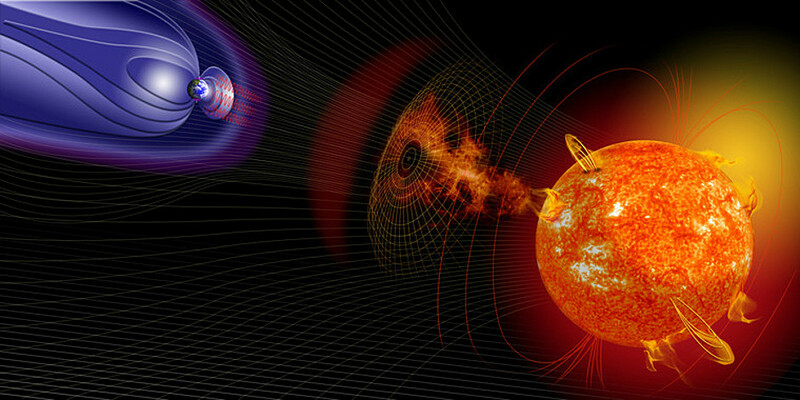 Solar flares can provoke geomagnetic perturbations to the Earth. Image credit: NASA. In 1859 the largest and most powerful solar storm ever recorded, also known as the Carrington Event or the Carrington Flare in honour of the English Astronomer Richard Carrington who observed it, was detected at the Colaba Observatory in India. This solar storm allowed for the observation of auroras at latitudes as low as Madrid and even the Caribbean Sea. However, the storm was also the cause of power outages and fires at telegraph system facilities all over Europe and North America. Ever since, geomagnetic storms caused by the Sun pose a serious threat to a society that is increasingly dependent on technology, in addition to directly posing serious danger to power and communication networks. In order to avoid this risk scientists have developed several indices that can help to both analyse and predict this phenomenon. One of the most widely used indices for measuring geomagnetic storms is the Dst (Disturbance storm time), which is obtained every hour by averaging the data recorded at four observatories: Hermanus (South Africa), Kakioka (Japan), Honolulu (Hawaii, USA) and San Juan (Puerto Rico). A more precise version called SYM-H — which assesses the horizontal component of the Earth’s magnetic field — utilises the information collected from even more observatories and a one-minute time resolution. Scientists can track the effects of large solar storms by using these two indices wherein latitude (the angular distance to the equator) is the prevailing data in magnetic records. One of these large solar storms was the Halloween Solar Storm that took place between October and November of 2003. Nevertheless, neither Dst nor SYM-H was able to detect the magnetic perturbation that affected the Earth precisely at that time, specifically on 29 October 2003. 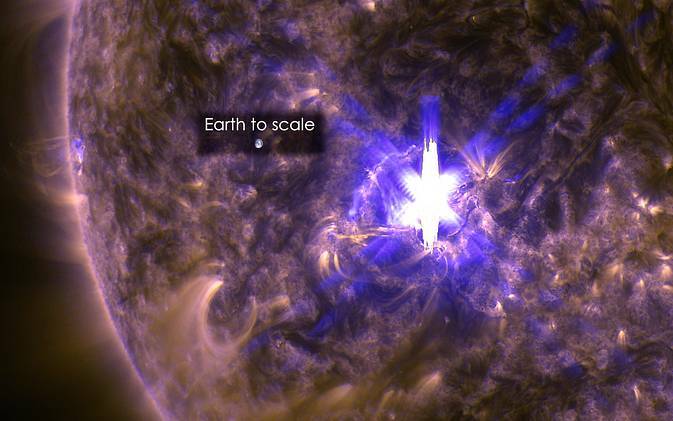 This solar event was extraordinarily similar to the Carrington Flare of 1859. The Halloween Solar Storm affected power plants both in Sweden and South Africa where several transformers were burnt. The event was recorded at the Tihany Magnetic Observatory in Hungary. A team of researchers from the University of Alcalá has now analysed the official indices’ failure to detect that event, and is now reporting on the potential consequences. Could the Scientific Community Be Wrong? “One of the conclusions is that the indices commonly used by scientists — such as Dst or SYM-H, which are based on an overall perspective of the Earth and obtained by calculating averages — failed to detect such an important event, and they most likely would have failed to detect the Carrington Event as well,” explains Consuelo Cid, the lead author. The study, published by the Journal of Space Weather and Space Climate, suggests that the scientific community could be mistaken in their calculation of the data average from different observatories around the world. This may be attributable to the fact that positive and negative magnetic disturbances cancel each other out, meaning that the true magnetic disturbance in a region disappears. In addition, the disturbance depends greatly on the local time (longitude), although other scientists postulate that it depends largely on the latitude. “A Carrington-like event may occur more often than we expect; actually, it might have already happened without us even realising it,” notes Cid, who points out the need to develop local indices that are truly useful to companies that may be affected by these disturbances, such as electric companies. In fact, her team has developed the Local Disturbance index for Spain (LDiñ) which calculates the geomagnetic perturbation in Spanish territory. It is calculated based on the magnetic field recorded at the San Pablo Observatory in Toledo, which belongs to the Spanish National Geographic Institute. “An index similar to LDiñ could be used in neighbouring countries, such as Portugal, France and Italy; likewise, indices adjusted to each region could be developed for use in other parts of the world,” points out the researcher, who insists on the need to collaborate with implicated companies, just as her research team collaborated with Spain’s national power grid company, Red Eléctrica Española. 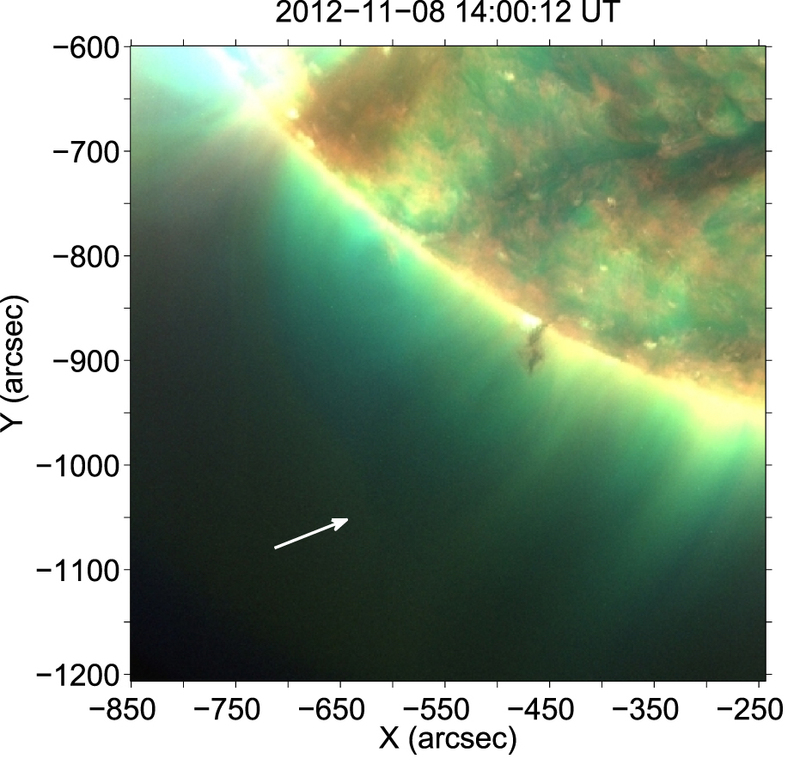 On 7 November, 2012 at 08:00 UT, an enormous tornado of plasma rose from the surface of the Sun. It twisted around and around, climbing over the span of 10 hours to a height of 50 megameters — roughly four times the diameter of the Earth! Eventually, this monster tornado became unstable and erupted violently as a coronal mass ejection (CME). download the mp4 video here. Now, a team of researchers has analyzed this event in an effort to better understand the evolution of giant solar tornadoes like this one. In this study, led by Irakli Mghebrishvili and Teimuraz Zaqarashvili of Ilia State University (Georgia), images taken by the Solar Dynamics Observatory’s Atmospheric Imaging Assembly were used to track the tornado’s motion as it grew, along with a prominence, on the solar surface. The team found that as the tornado evolved, there were several intervals during which it moved back and forth quasi-periodically. The authors think these oscillations were due to one of two effects when the tornado was at a steady height: either twisted threads of the tornado were rotating around each other, or a magnetic effect known as “kink waves” caused the tornado to sway back and forth. Determining which effect was at work is an important subject of future research, because the structure and magnetic configuration of the tornado has implications for the next stage of this tornado’s evolution: eruption. Thirty hours after its formation, the tornado (and the solar prominence associated with it) erupted as a CME, releasing enormous amounts of energy. In the images from shortly before that moment, the authors observed a cavity open in the solar corona above the tornado. This cavity gradually expanded and rose above the solar limb until the tornado and prominence erupted into the space that had been opened. A tornado and a related solar prominence forms. Magnetic field lines within it are gradually twisted by the tornado’s rotation, until the tornado becomes unstable to the kink instability (a magnetic instability). If solar tornadoes such as this one generally cause instabilities of prominences, they could be used to predict when a related CME is about to happen — providing important information for space weather predictions. At the end of last year, the Sun’s large-scale magnetic field suddenly strengthened, reaching its highest value in over two decades. Here, Neil Sheeley and Yi-Ming Wang (both of the Naval Research Laboratory) propose an explanation for why this happened and what it predicts for the next solar cycle. Until midway through 2014, solar cycle 24 — the current solar cycle — was remarkably quiet. Even at its peak, it averaged only 79 sunspots per year, compared to maximums of up to 190 in recent cycles. Thus it was rather surprising when, toward the end of 2014, the Sun’s large-scale magnetic field underwent a sudden rejuvenation, with its mean field leaping up to its highest values since 1991 and causing unprecedentedly large numbers of coronal loops to collapse inward. Yet in spite of the increase we observed in the Sun’s open flux (the magnetic flux leaving the Sun’s atmosphere, measured from Earth), there was not a significant increase in solar activity, as indicated by sunspot number and the rate of coronal mass ejections. This means that the number of sources of magnetic flux didn’t increase — so Sheeley and Wang conclude that flux must instead have been emerging from those sources in a more efficient way! But how? The authors show that the active regions on the solar surface in late 2014 lined up in such a way that the emerging flux was enhanced, forming a strong equatorial dipole field that accounts for the sudden rejuvenation observed. Interestingly, this rejuvenation of the Sun’s open flux wasn’t just a one-time thing; similar bursts have occurred shortly after the peak of every sunspot cycle that we have flux measurements for. The authors find that three factors (how the active regions are distributed longitudinally, their sizes, and the contribution of the axisymmetric component of the magnetic field) determine the strength of this rejuvenation. All three of these factors happened to contribute optimally in 2014. As a final note, Sheeley and Wang suggest that the current strength of the axisymmetric component of the magnetic field can be used to provide an early indication of how active the next solar cycle might be. Using this method, they predict that solar cycle 25 will be similar to the current cycle in amplitude. A scientist who claims waning solar activity in the next 15 years will trigger what some are calling a mini ice age has revived talk about the effects of man-made versus natural disruptors to Earth’s climate. 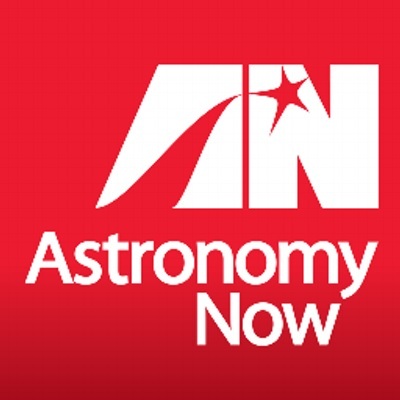 Valentina Zharkova, a professor of mathematics at Northumbria University in the United Kingdom, used a new model of the sun’s solar cycle, which is the periodic change in solar radiation, sunspots and other solar activity over a span of 11 years, to predict that “solar activity will fall by 60 percent during the 2030s to conditions last seen during the ‘mini ice age‘ that began in 1645,” according to a statement. At the National Astronomy meeting in Llanduno, north Wales last week, Zharkova said that a series of solar phenomena will lead to a “Maunder Minimum,” which refers to the seven decades, from 1645 to 1715, when the sun’s surface ceased its heat-releasing magnetic storms and coincided with the Little Ice Age, a period of chillier temperatures, from around 1550 to 1850 in Europe, North America and Asia, according to NASA. However, many scientists are not convinced. Georg Feulner, the deputy chair of the Earth system analysis research domain at the Potsdam Institute on Climate Change Research, has studied the effect a solar minimum might have on Earth’s climate. His research has shown that temperature drops correlated to a less intense sun would be insignificant compared with anthropogenic global warming, according to the Washington Post. Regarding the Maunder Minimum predicted by Zharkova, Feulner said, “The expected decrease in global temperature would be 0.1 degrees Celsius at most, compared to about 1.3 degrees Celsius since pre-industrial times by the year 2030,” Feulner told the Post. Furthermore, this isn’t the first time research has predicted waning heat from the sun, to which experts also said that man-made global warming won’t be trumped. Solar cycles rise and fall over an 11-year cycle, though each cycle is unique. The sun can emit extreme ultraviolet and X-ray emissions that heat the part of the sky where planes fly. “Although the change in total solar irradiance seems too small to produce significant climatic effects, there is good evidence that, to some extent, the Earth’s climate heats and cools as solar activity rises and falls,” wrote David Hathaway, a solar physicist with NASA’s Ames Research Center, in a 2010 review paper published in the journal Living Reviews in Solar Physics. The Maunder Minimum was named by solar astronomer John Eddy in 1976 after E.W. Maunder, an English scientist who, along with German scientist Gustav Spörer, first noticed the decrease in solar activity in the 1890s, according to the New York Times. “I have re-examined the contemporary reports and new evidence which has come to light since Maunder’s time and conclude that this 70-year period was indeed a time when solar activity all but stopped,” Eddy wrote in the Times. Eddy looked through historical documents dating all the way back to Galileo to find any mention of visual observations of sun spots — everything he found corroborated, though to double check, he looked to some hard data. Carbon-14, the radioactive isotope that is associated with living things, correlates with solar activity. The isotope is produced in the upper atmosphere when cosmic rays hit nitrogen-14 and convert it to carbon-14. Increased solar activity reduces the amount of cosmic rays that penetrate the atmosphere, decreasing carbon-14 formation. Eddy determined that the carbon-14 measurements in tree rings indicated a period of lower solar activity from 1450 to 1540, during a period Eddy called the Spörer Minimum. In a paper detailing the study published in the journal Science in 1977, Eddy pointed out that both the Maunder Minimum and the Spörer Minimum happened during the coldest intervals of the Little Ice Age. Some historical records peg the onset of the Little Ice Age earlier, to around the year 1300, which includes the Spörer Minimum. Records are more robust for the later part of the millennia-long cooling, with figures like Charles Dickens’ writing about white Christmases, and records of Mary Shelly spending an unusually cold summer in 1816 indoors, where she and her husband shared horror stories, one of which became “Frankenstein,” according to climate scientist Michael Mann in Volume 1 of the Encyclopedia of Global Environmental Change (Wiley, 2002). “The Little Ice Age may have been more significant in terms of increased variability of the climate, rather than changes in the average climate itself,” Mann wrote. Furthermore, the most dramatic climatic extremes happened with year-to-year temperature changes, rather than prolonged multiyear periods of cold. Mann points to atmospheric circulation patterns, like the North Atlantic Oscillation, to explain some of the regional variability during the Little Ice Age. Although the coldest year in Europe and over much of the Northern Hemisphere was 1838, temperatures were relatively mild over significant portions of Greenland and Alaska during the same year. A large volcanic eruption in Cosigüina, Nicaragua, in 1838 may have emitted aerosols that circulated through the atmosphere, deflecting incoming solar radiation and cooling the air. Also, Dickens’ white Christmases may have benefited from the 1815 eruption of the volcano Tambora in Indonesia. Although solar activities can align with changes in temperatures, there are many processes that contribute to climatic variations, and human-induced climate change will likely prove too big a force for muted solar activity to influence. Flaring, active regions of our Sun are highlighted in this new image combining observations from several telescopes. Credit: NASA/JPL-Caltech/GSFC/JAXA. X-rays light up the surface of our Sun in a bouquet of colours in this new image containing data from NASA’s Nuclear Spectroscopic Telescope Array, or NuSTAR. The high-energy X-rays seen by NuSTAR are shown in blue, while green represents lower-energy X-rays from the X-ray Telescope instrument on the Hinode spacecraft, named after the Japanese word for sunrise. The yellow and green colours show ultraviolet light from NASA’s Solar Dynamics Observatory. Dr Iain Hannah, of the University of Glasgow, will present the image today at the National Astronomy Meeting in Llandudno. NuSTAR usually spends its time examining the mysteries of black holes, supernovae and other high-energy objects in space. But it can also look closer to home to study our Sun. Those active areas of the Sun are filled with flares, which are giant eruptions on the surface of the Sun that spew out charged particles and high-energy radiation. They occur when magnetic field lines become tangled and broken, and then reconnect. Due to its extreme sensitivity, NuSTAR’s telescope cannot view the larger flares. But it can help measure the energy of smaller microflares, which produce only one-millionth the energy of the larger flares. NuSTAR may also be able to directly detect hypothesised nanoflares, which would be only one-billionth the energy of flares. Nanoflares — which may help explain why the Sun’s atmosphere, or corona, is so much hotter than expected — would be hard to spot due to their small size. However, nanoflares may emit high-energy X-rays that NuSTAR has the sensitivity to detect. Astronomers suspect that these tiny flares, like their larger brethren, can send electrons flying at tremendous velocities. As the electrons zip around, they give off high-energy X-rays. “We still need the Sun to quieten down more over the next few years to have the ability to detect these events,” said Hannah, explaining that, while our Sun is approaching the tranquil end of its roughly 11-year activity cycle, it has been showing spurious bouts of high activity. Astronomers are also excited to use NuSTAR’s images of the Sun to pinpoint where energy from flares is released. While it is known that the energy is generally liberated in the upper solar atmosphere, the locations and detailed mechanisms are not precisely known. Cosmologists are looking forward to using NuSTAR’s solar observations, too. There is a slim chance the telescope could detect a hypothesised dark matter particle called the axion. Dark matter is a mysterious substance in our Universe that is about five times more abundant than the regular matter that makes up everyday objects and anything that gives off light. NuSTAR might be able to address this and other mysteries of the sun. “What’s great about NuSTAR is that the telescope is so versatile that we can hunt black holes millions of light-years away and we can also learn something fundamental about the star in our own backyard,” said Brian Grefenstette of the California Institute of Technology in Pasadena, an astronomer on the NuSTAR team. The Royal Astronomical Society (RAS), founded in 1820, encourages and promotes the study of astronomy, solar-system science, geophysics and closely related branches of science. Coronal mass ejections (CME), billion-tonne solar plasma eruptions moving towards the Earth at up to 2500 kilometres per second, can cause extensive and expensive disruption by damaging power, satellite and communication networks. A UK consortium is proposing an operational mission, called Carrington-L5, to give a five-day warning of hazardous solar activity that could inflict severe damage to our infrastructure. The mission concept will be presented at the National Astronomy Meeting in Llandudno by Dr Markos Trichas of Airbus Defence and Space (UK). In response to the UK government adding solar storms to the National Risk Register of Civil Emergencies in 2011, the Met Office Space Weather Operations Centre (MOSWOC) was created to protect the country from the serious threats posed by space weather events. Current warnings of CME arrival at Earth use facilities like SOHO, STEREO and SDO. However, none of these are designed to provide 24/7 data, necessary for accurate and timely forecasts and all the spacecraft are ageing rapidly, with some of them having spent more than two decades in space. More importantly, STEREO, which provided essential data for early warnings, is now behind the Sun and is unable to communicate any data back to Earth. With the current spacecraft configuration, the accuracy of CME arrival time forecasts has been significantly degraded. 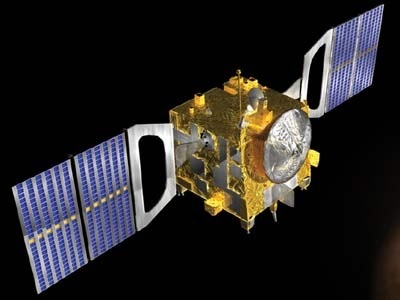 The goal of the consortium is to replace data provided by the STEREO satellites, through a new mission capable of providing continuous data from a stable orbit, necessary for the Met Office to provide 5-day forecasts and increase the accuracy of CME arrival forecasts. The proposed Carrington-L5 mission is named after the British scientist who monitored the strongest geomagnetic storm on record, the event of 1859. To provide the necessary warning time, Carrington-L5 will utilize a gravitational balance point, known as L5, which would allow it to trail the Earth in its orbit around the Sun by about 150 million kilometres. From this perspective, the spacecraft would have a view of what’s happening on the surface of the Sun several days in advance of when an active area spins round towards Earth. The Carrington-L5 mission concept study is led by Airbus Defence and Space (UK), in collaboration with the Met Office, Mullard Space Science Laboratory, Rutherford Appleton Laboratory and Imperial College London. The proposed mission will reuse systems developed by Airbus for previous space missions, in order to minimise the cost. It will carry all instruments identified by MOSWOC as critical, and will be able to operate for at least a decade even under extreme space weather conditions. See the full article for a full list of available Carrington images. A relatively small puff of solar material can be seen escaping the sun on the upper left of this movie from ESA and NASA’s SOHO on Dec. 19, 2006. This slow ejection was nevertheless powerful enough to cause Venus to lose dramatic amounts of oxygen from its atmosphere four days later. While no one yet knows what’s needed to build a habitable planet, it’s clear that the interplay between the sun and Earth is crucial for making our planet livable – a balance between a sun that provides energy and a planet that can protect itself from the harshest solar emissions. Our sun steadily emits light, energy and a constant flow of particles called the solar wind that bathes the planets as it travels out into space. Larger eruptions of solar material, called coronal mass ejections, or CMEs, occur too, which can disrupt the atmosphere around a planet. On Earth, some of the impact of these CMEs is deflected by a natural magnetic bubble called the magnetosphere. But some planets, such as Venus, don’t have protective magnetospheres and this can be bad news. On Dec. 19, 2006, the sun ejected a small, slow-moving puff of solar material. Four days later, this sluggish CME was nevertheless powerful enough to rip away dramatic amounts of oxygen out of Venus’ atmosphere and send it out into space, where it was lost forever. Collinson’s work began with data from the European Space Agency, or ESA’s, Venus Express, which arrived at Venus in 2006 and carried out an eight-year mission. Studying data from its first year, Collinson noted that on Dec. 23, 2006, Venus’ atmosphere leaked oxygen at one of the highest densities ever seen. At the same time the particles were escaping, the data also showed something unusual was happening in the constant solar wind passing by the planet. To learn more, Collinson worked with Lan Jian, a space scientist at NASA Goddard who specializes in identifying events in the solar wind. Using data from Venus Express, Jian pieced together what had hit the planet. It looked like a CME, so she then looked at observations from the joint ESA and NASA Solar and Heliospheric Observatory. They identifed a weak CME on Dec. 19 that was a likely candidate for the one they spotted four days later near Venus. By measuring the time it took to reach Venus, they established that it was moving at about 200 miles per second – which is extremely slow by CME standards, about the same speed as the solar wind itself. Similarly, the effects of the small CME built up over time, ripping off part of Venus’s atmosphere and pulling it out into space. This observation doesn’t prove that every small CME would have such an effect, but makes it clear that such a thing is possible. That, in turn, suggests that without a magnetosphere a planet’s atmosphere is intensely vulnerable to space weather events from the sun. Venus is a particularly inhospitable planet: It is 10 times hotter than Earth with an atmosphere so thick that the longest any spacecraft has survived on its surface before being crushed is a little over two hours. Perhaps such vulnerabilities to the sun’s storms contributed to this environment. Regardless, understanding exactly what effect the lack of a magnetosphere has on a planet like Venus can help us understand more about the habitability of other planets we spot outside our solar system. The researchers examined their data further to see if they could determine what mechanism was driving off the atmosphere. The incoming CME had clearly pushed in the front nose – the bow shock – of the atmosphere around Venus. The scientists also observed waves within the bow shock that were 100 times more powerful than what’s normally present. The team developed three possibilities for the mechanism that drove the oxygen into space. First, even a slow CME increases the pressure of the solar wind, which may have disrupted the normal flow of the atmosphere around the planet from front to back, instead forcing it out into space. A second possibility is that the magnetic fields traveling with the CME changed the magnetic fields that are normally induced around Venus by the solar wind to a configuration that can cause atmospheric outflow. Or, third, the waves inside Venus’ bowshock may have carried off particles as they moved. Collinson says he will continue to look through the collected eight years of Venus Express data for more information, but he points out that seeing a CME near another planet is a lucky finding. Near Earth, we have several spacecraft that can observe a CME leaving the sun and its effects closer to Earth, but it’s difficult to track such things near other planets. NASA’s Solar Dynamics Observatory captured an image of a mid-level solar flare on March 11, 2015, seen as a bright flash of light on the left side of the sun. Earth is shown for scale. The sun emitted a significant solar flare, peaking at 12:22 p.m. EDT on March 11, 2015. NASA’s Solar Dynamics Observatory, which watches the sun constantly, captured an image of the event. Solar flares are powerful bursts of radiation. Harmful radiation from a flare cannot pass through Earth’s atmosphere to physically affect humans on the ground, however — when intense enough — they can disturb the atmosphere in the layer where GPS and communications signals travel. This flare is classified as an X2.2-class flare. X-class denotes the most intense flares, while the number provides more information about its strength. An X2 is twice as intense as an X1, an X3 is three times as intense, etc. Updates will be provided as needed. The sun sustains life on Earth, and maybe that’s not all it does. Provocative new research by scientists in Norway suggests there may be a link between solar activity at the time of your birth and how long you’re likely to live. 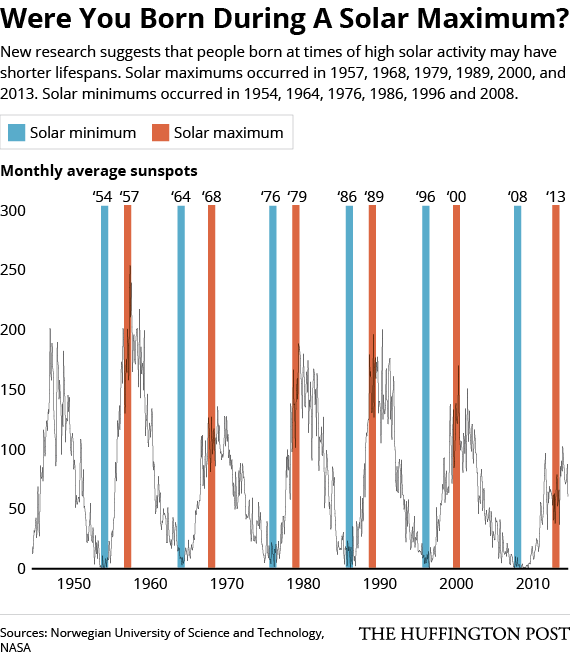 Specifically, the scientists found that the life spans of people born during a so-called “solar maximum” period–when the sun displays the greatest number of sunspots and solar flares in any given solar cycle–are about five years shorter than those of people born in a solar minimum period, when the sun is less active. For their research, scientists at the Norwegian University of Science and Technology in Trondheim looked at the age of death of individuals born in Norway between 1676 and 1878 and compared the data to solar activity data. In addition to showing that individuals born during a solar max tended to die younger, the comparison showed that fertility was reduced in certain women born in years with high solar activity. “We were surprised of the effect on lifetime number of offspring, although only detectable in the low-[economic] status women group,” study co-author Dr. Frode Fossøy, a researcher at the university, told The Huffington Post in an email. What explains the weird connection between solar activity and human fertility and longevity? It seems that ultraviolet light from the sun–especially at times of high activity–can suppress certain molecular and cellular mechanisms in the body, Gine Roll Skjærvø, a senior engineer at the university and the lead author of a paper describing the research, told The Telegraph. The new research stands in contrast to a 2009 study showing that solar activity does not affect human life spans. But that study relied on population-based data rather than on data from specific individuals. Dr. Mark Lucock, a nutritional geneticist at the University of Newcastle in Australia, who was not involved in either study, called the new research “a fascinating piece of work that provides further supporting evidence that early-life environmental factors help shape [human traits] in ways that have long-term consequences,” Live Science reported. The new research was published online in Proceedings of the Royal Society B on January 7, 2015. Approximately every 11 years, the sun undergoes a complete personality change from quiet and calm to violently active. The height of the sun’s activity, known as solar maximum, is a time of numerous sunspots, punctuated with profound eruptions that send radiation and solar particles out into the far reaches of space. A composite of 25 separate images from NASA’s SDO, spanning one year from April 2012 to April 2013. The image reveals the migration tracks of active regions towards the equator during that period. However, the timing of the solar cycle is far from precise. Since humans began regularly recording sunspots in the 17th century, the time between successive solar maxima has been as short as nine years, but as long as 14, making it hard to determine its cause. Now, researchers have discovered a new marker to track the course of the solar cycle — brightpoints, little bright spots in the solar atmosphere that allow us to observe the constant roiling of material inside the sun. These markers provide a new way to watch the way the magnetic fields evolve and move through our closest star. They also show that a substantial adjustment to established theories about what drives this mysterious cycle may be needed. Historically, theories about what’s going on inside the sun to drive the solar cycle have relied on only one set of observations: the detection of sunspots, a data record that goes back centuries. Over the past few decades, realizing that sunspots are areas of intense magnetic fields, researchers have also been able to include observations of magnetic measurements of the sun from more than 90 million miles away. Over the course of a solar cycle, the sunspots tend to migrate progressively lower in latitude, moving toward the equator. The prevailing theory is that two symmetrical, grand loops of material in each solar hemisphere, like huge conveyor belts, sweep from the poles to the equator where they sink deeper down into the sun and then make their way steadily back to the poles. These conveyor belts also move the magnetic field through the churning solar atmosphere. The theory suggests that sunspots move in synch with this flow — tracking sunspots has allowed a study of that flow and theories about the solar cycle have developed based on that progression. But there is much that remains unknown: Why do the sunspots only appear lower than about 30 degrees? What causes the sunspots of consecutive cycles to abruptly flip magnetic polarity from positive to negative, or vice versa? Why is the timing of the cycle so variable? Beginning in 2010, McIntosh and his colleagues began tracking the size of different magnetically balanced areas on the sun, that is, areas where there are an equal number of magnetic fields pointing down into the sun as pointing out. The team found magnetic parcels in sizes that had been seen before, but also spotted much larger parcels than those previously noted — about the diameter of Jupiter. The researchers also looked at these regions in imagery of the sun’s atmosphere, the corona, captured by NASA’s Solar Dynamics Observatory, or SDO. They noticed that ubiquitous spots of extreme ultraviolet and X-ray light, known as brightpoints, prefer to hover around the vertices of these large areas, dubbed “g-nodes” because of their giant scale. These brightpoints and g-nodes, therefore, open up a whole new way to track how material flows inside the sun. McIntosh and his colleagues then collected information about the movement of these features over the past 18 years of available observations from the joint European Space Agency and NASA Solar and Heliospheric Observatory and SDO to monitor how the last solar cycle progressed and the current one started. They found that bands of these markers — and therefore the corresponding large magnetic fields underneath — also moved steadily toward the equator over time, along the same path as sunspots, but beginning at a latitude of about 55 degrees. In addition, each hemisphere of the sun usually has more than one of these bands present. McIntosh explains that a complex interaction of magnetic field lines may take place in the sun’s interior that is largely hidden from view. The recent observations suggest that the sun is populated with bands of differently polarized magnetic material that, once they form, steadily move toward the equator from high latitudes. These bands will either have a northern or southern magnetic polarity and their sign alternates in each hemisphere such that the polarities always cancel. For example, looking at the sun’s northern hemisphere, the band closest to the equator — perhaps of northern polarity — would have magnetic field lines that connect it to another band, at higher latitudes, of southern polarity. Across the equator, in the bottom half of the sun, a similar process occurs, but the bands would be an almost mirror image of those across the equator, southern polarity near the equator and northern at higher latitudes. Magnetic field lines would connect the four bands; inside each hemisphere and across the equator as well. While the field lines remain relatively short like this, the sun’s magnetic system is calmer, producing fewer sunspots and fewer eruptions. This is solar minimum. But once the two low-latitude marching bands reach the equator their polarities essentially cancel each other out. Abruptly they disappear. This process, from migratory start to finish at the equator takes 19 years on average, but is seen to vary from 16 to about 21 years. Following the equatorial battle and cancellation, the sun is left with just two large bands that have migrated to about 30 degrees latitude. The magnetic field lines from these bands are much longer and so the bands in each hemisphere feel less of each other. At this point, the sunspots begin to grow rapidly on the bands, beginning the ramp-up to solar max. The growth only lasts so long, however, because the process of generating a new band of opposite polarity has already begun at high latitudes. When that new band begins to appear, the complex four-band connection starts over and the number of sunspots starts to decrease on the low-latitude bands. In this scenario, it is the magnetic band’s cycle — the lifetime of each band as it marches toward the equator — that truly defines the entire solar cycle. “Thus, the 11-year solar cycle can be viewed as the overlap between two much longer cycles,” said Robert Leamon, co-author on the paper at Montana State University in Bozeman and NASA Headquarters in Washington. The new conceptual model also provides an explanation of why sunspots are trapped below 30 degrees and abruptly change sign. However, the model creates a question about a different latitude line: Why do the magnetic markers, the brightpoints and g-nodes, start appearing at 55 degrees? Solar cycles theories are best tested by making predictions as to when we will see the next solar minimum and the next solar maximum. This research paper forecasts that the sun will enter solar minimum somewhere in the last half of 2017, with the sunspots of the next cycle appearing near the end of 2019. In the meantime, regardless of whether the new hypothesis provided by McIntosh and his colleagues is correct, this long term set of bright points and g-node locations offers a new set of observations to explore the drivers of solar activity beyond only sunspots. Inserting this information into solar models will provide an opportunity to improve simulations of our star. Such advanced models tell us more about other stars too, leading to a better understanding of similar magnetic activity on more exotic, distant celestial counterparts. ScienceDaily is one of the Internet’s most popular science news web sites. Since starting in 1995, the award-winning site has earned the loyalty of students, researchers, healthcare professionals, government agencies, educators and the general public around the world. Now with more than 3 million monthly visitors, ScienceDaily generates nearly 15 million page views a month and is steadily growing in its global audience.